Q: Is it possible to prepare when you are on a fixed income and have a large extended family who does not see a reason to prepare? A. Absolutely! Preparedness is not about money. Think back on how our grandparents lived. Most had large families and not a lot of money. Do a little research and make a plan. How much food, water, and other preparedness items would you need to care for you and your extended family. Although they don't see a reason now, if and/or when the poo-hits-the-fan they will then. Better to have than have not. Q: If you had one antibiotic to use in a survival type situation, which one would you choose? A: You are welcome for the show – thank you for joining in! The most important “thing” is very subjective. What I mean is, we are all different and our lifestyles and situations are so varied. My suggestion for the most important thing for a beginner to do is to create a Preparedness Plan. Using your knowledge of the basic preparedness needs begin to compartmentalize each and determine what you and your family personally need. Remember "One bite at a time". A: Colonel Weaver … hopefully you hung on to the end! My mission is preparedness education for people much like I used to be i.e., more focused on themselves than what is happening around them. I have found that by sharing my personal experiences people see themselves in them and are more receptive to the message. A: I had this same problem. I sectioned off a portion of my garage and made a pantry by insulating the walls and ceiling of the pantry. Now I have a cool 55 degree pantry and still have the exterior wall of the pantry for storage and hanging items. Q: What would you recommend, as a course of action, for someone who is legally blind? A: Wow. Great question! I personally think we all need to be more attentive to those with any type of disability. I honestly would have to say, just as I would tell sighted people – we all need to have a plan. A: Most apartment dwellers deal with a few key issues; storage space and space for a garden. As for storage look at all the available space you have - under beds, living room couches or chairs, above cabinets, under stair steps. And a garden? Use potted plants on the counter or window boxes for herbs or coffee cans hung outside on the wall. Make a vertical PVC pipe planter. Go on the internet there are so many creative ideas out there. Q: Will there be anything else besides her reading about "boy stuff"? More substance, less "touchy feely"! A: (grin) I hope you stayed with me to the end to hear the “more substance”! Q: Why do you paint milk jugs black for water storage. A: Its always advisable to keep water in a cool, dark place. Thus, the reason for painting them black. Keeps the light out. Q: Is this being recorded somewhere? A: Yes! The whole SOS Summer of Survival webinar series will be available. Check back with the Summer of Survival website for more details. Q: Can you recommend where/how i can begin Learning about Solar Energy, Uses/Methods of Collecting (solar energy) and Storage Methods (to store the solar generated energy)? -Seminars/Webinars -You Tube Videos -Etc. A: There is so much information out there. My good friend Scott Hunt – Engineer775 is a great source of information on YouTube. A: Hey Lanette! I have to say that I would not discount steep. Rick Austin a speaker in the Summer of Survival webinar will actually show you how steep land could actually be an asset for growing a food forest. Q: I've heard that you shouldn't store water in milk jugs but I don't buy soda so I've been washing them out well, adding a teaspoon of bleach and using them anyway, I can use them to wash with if nothing else. I've never heard about rerating the water though, that seems like a more cost efficient way to save water. Do you need to add more bleach again? Is a dark basement sufficient for preservation or should I keep them in a bag as well? A: I didn’t mention that the reason for the black bag is to keep the light out. Store the bottles in a dark cool place. I personally don’t re-bleach the water. You will find for everything one says there are others who say something different. I say do you research and do what you feel comfortable with. Q: Is the vacuum jar procedure available online? A: Yes. Here on my website I have a section called “Preptorials -How do you do that?” that addresses it step by step. A: In my personal opinion, when placed in a life threatening situation you cannot hesitate. You have to be determined not to be a victim and need to respond accordingly. Anything can be used as a weapon if in harm’s way - this was just one of the many. Q: Are you kidding me? Are you actually advocating using a poison spray for self defense? You'll have an attempted murder charge! A: I am advocating not being a victim. If someone is threatening my life I will use whatever means available to me at the time. 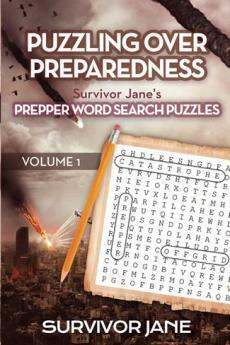 Q: Hi Jane, Is your family and friends supportive of your preparedness lifestyle? A: I think they are more amused by it if the truth be known. Although my family is still in Florida I like to use the opportunities when they do visit to show them why I do the things I do. I have found that sometimes it is just better to lead by example. Q: A Consideration: If you're not comfortable with a firearm you will be a victim of someone who is. A: Absolutely! Well said! It’s not about what you use to defend yourself; it’s about having that determination that you will use what is available to you at the time so you won’t be a victim. Q: Can you recommend a good book on wilderness healing? Q: 26 years in the military say that the ink pen weapon is a ridiculous concept and a dangerous misdirection of unknowing susceptible people. A: I respect your opinion! But I won’t hesitate to use a pen to defend myself! As with any life threatening situation you need to understand you have options and consider anything as a defensive tool. Q: Great idea on the portable bidet! A: Thank you! I use the hiney hydrant every day! It is amazing how much money you save by not purchasing toilet paper. It can be taken with you if you have to bug-out, or kept in your vehicle or even take it camping! Q: Thank you! I really enjoyed this and have learned some new things; I like your idea for personal hygiene! A: Thank you for joining in. It’s all about education. I don’t know everything but what I do know I am more than happy to share! Q: Do you have any suggestions for prepping with health in mind, not just for survival....ie. what food storage company could you recommended that is long term, but also healthy. A: I personally am on a no sugar - no starch regimen. Unfortunately, most of the commercial foods out there are not suited for that lifestyle. I use my dehydrator and package up a lot of my own foods. Q: What methods have you used to connect with others of the same mind set or concerns? A: I have met a lot of people at local preparedness events. September is National Preparedness Month. Watch out for events in your local area like preparedness fairs or workshops. Q: I don't know what happened to the webinar. It stopped for me at the Have a safe destination before an emergency slide. A: Apparently there were a few glitches with this webinar – which we anticipated may happen being the first one out the shoot. I hope you were able to reconnect! Q: I thought milk jugs were advised not to use because you could never really clean it. There is a threat of bacteria always left behind. A: First of all, you need to rinse the milk jug with cool or lukewarm first before washing the milk jug. Hot water changes the milk proteins and makes them, fats and sugars stick to the milk jugs. Then with really hot soapy water, wash and then rinse. Add one teaspoon of bleach filling the jug a ¼ full and really “swishing” it around well. Then drain the container by letting it drain at an angle so the sides and bottom can dry. I also let it sit out in the sun to cure. Complete drying takes about 2 whole days. Remember bacteria requires moisture. So make sure the milk jug is completely dry before using. Even a few drops can breed bacteria. Q: What are the basic items you have in your bug out bag and how heavy is it? lol How can I influence my family to join in my prepping efforts? Do you ever "finish" or stop? how do you know when you have collected enough to really be prepared? A: Okay, one answer at a time. Basics are a survival tool/knife, food and water, cordage, fire starting tools, a poncho (you can do so much with a poncho), goggles, iodine tablets, face masks, underwear and socks, a small pry bar, a compass and I could go on and on. As for influencing family - I try to lead by example. Show them there is a method to your madness by using examples of past and present events. Do you ever stop? For me preparedness is a lifestyle. It’s not about collecting “stuff” its about living and being ready for whatever may come your way. Q: I am also researching use of oils and herbs for healing and prevention as well as hygiene, do you have info on these matters? A: I am a big fan of herbs for medicinal. My focus is not so much essential oil, afterall distillers are very expensive and if the poo-hits-the-fan we may not have access to them. Instead I focus on herbs we need and will need for our medical care. I grow them, harvest them, and dried them for future use. Q: I was not able to hear the webinar, so this may or not have been addressed. Do you know anything about "dry canning" to preserved grains? Also do you have any recommendations for seeds sources? A: I’m not familiar with the term “dry canning”. You may be referring to vacuum sealing dry goods. If so, I break my bulk grains down into smaller portions and vacuum seal them with oxygen absorbers. Once a large bag of goods is open it can begin to deteriorate. Plus its much easier to have access to a cup of something opposed to opening up a large bag or bucket to retrieve it. A: The host didn’t realize that the mics were open before my presentation started. What you heard was me and the host talking before my presentation. Apparently there was a small glitch in the start of the “presentation” due to the software. I hope you were able to connect! A: No! Actually the opposite. You apply the honey and milk mixture on your skin and leave it on for just a few minutes. Then you rinse it off. It makes your skin feel so silky smooth! Honey actually desolves with water. Q: Wasp spray, a good way to get in trouble legally. Also not as good as pepper spray on someone that is high. A: Coming out of the legal field, I understand exactly what you are saying. My suggestions were meant to be used in a life threatening situation where it is your life against theirs. I personally am willing to take that risk if my life was in harm’s way. A: I have a tutorial here on my website under the section “Preptorials – How did you do that?” that explains how to use the break bleeder. Q: Regarding your protection discussion.... During a disaster situation when you are defending yourself and family - are there liability issues that you still must be aware of? Which may come back later on and haunt you with legal issues. No matter how much they were wrong -can they come after you legally? A: Unfortuantely, we live in a litigious world where everyone has rights. There are always matters that “could” come back on us. Any suggestions that I have used in my webinar were meant to be used in circumstances where you find yourself in a life threatening situation and there are no other alternatives available to you. A: There are as many pros as there are cons on the milk jug topic. I rinse my milk jugs really well with cold water first. Hot water will actually cause the milk fats, protiens, and sugars to harden on the inside of the container. Use hot soapy water to then wash and rinse the jug. Then add a teaspoon of Clorox and fill the jug ¼ full. I swish it really well and then empty it. Let the jug dry thoroughly. I drain it at an angle so the sides and bottom and get air dried. This can take up to 2 days. I also let the jug sit out in the sun to cure and haven't had any problems. Remember, even a drop of water can cause bacteria. Q: it was good for my kids. A: Awesome! Congratulations for being a responsible parent! Q: Hi If you use the spray for sanitary purposes what happens if you have no running water to flush the toilet bowl? A: My hiney hydrant is a portable survival bidet. You take it with you wherever you “go” inside and out. It's not about flushing its about personal cleansing yourself. Q: I've read you should not use milk jugs to store water because they are almost impossible to really clean. Comment? A: This has been asked and answered several times. I repurpose milk jugs and other food grade containers. The key is to rinse milk jugs with cool water really well first (before washing with hot water.) This prevents the milk protiens, fats and sugar from hardening on the inside of the container - which is what happens if you rinse with hot water first. I then wash the jugs with hot soapy water, rinse and sanitaize them with Clorox. A: Thank you so much for joining in! We’re all in this together to share, care and share with one another! Q: If using a solar system. should there be back up? A: There should always be backups for everything and backups for your backups. Remember Two is One – One is None. Q: Hey Jane, thanks for the great 'talk'. Could you explain a little bit how everyday folks can use #preppertalk on twitter to connect up? A: Thank you so much for asking! #PrepperTalk is a hashtag that was created on Twitter to bring preparedness minded people together. If you are on Twitter all you need to do, is search for the hashtag (#PrepperTalk) to follow the #PrepperTalk timeline. If you would like to make a comment or join in just add the hashtag (#PrepperTalk) to your tweets. No one’s conversation is exclusive on the #PrepperTalk timeline - everyone jumps in and comments on one another's tweets any time. Q: How do I get my wife and daughters on board to help in our family’s preparation? A woman’s perspective please. A: Keep in mind men and women think differently. Women are nurturers and care givers. Men are protectors and hunters. Questions and concerns need to be addresses in a way a women would understand such as “ How can we feed our family if there was a flood?” Or “Do we have enough blankets in the car if we should we get stuck or break down in a winter storm going to visit grandma? It’s not about doom and gloom it’s about having the items needed to keep our family’s safe. When you talk in terms of family welfare - that is music to women's ears! Q: was this a reminder ? everyone should know this stuff. A: My webinar was titled “Back to the Basics - What are the Essential Basic Preparedness Needs and How to Fullfull Them” So, yes to some this was a refresher, but for those who are new to preparedness this was a way to help them get on the right track and not be overwhelmed by it all. Q: Will videos be available after the sessions? Q: What are important items to obtain for women and girls in our group? A: If they are still or will be experiencing that dreadful “time of the month” you may want to consider having items that will help with this situation. I have lots of suggestions in my book "Where There is No Cosmetic Counter" addressing this. Also, some women are not used to “being unkept”. Having items that allow them to stay clean would be a huge morale booster. That is the reason I wrote the book – I didn’t want to be in a position where I couldn’t wash my hair, bathe with something other than water or cut my hair. Q: I was in the seminar and inadvertently closed the window; when I tried to rejoin I heard some chatter between presenter and host, but couldn\'t get back into the seminar - I dropped it at the homemade make up and missed the "when there is no toilet paper,", which I really wanted to hear! Help! A: Ah yes the hiney hydrant. You can look on my website under the section “Preptorials – How do you do that? “. There you will find out what it is and how to actually make your own. Also I wrote an article “No way I will ever give up toilet paper – famous last words” where I share how I came about making the hiney hydrant. Q: Okay now I can hear the conversation on air of the guest and interviewer BEFORE the presentation! A: There was a glitch in the software that was used to launch the presentation. Apparently it launched 3 minutes before the scheduled time. Lessons learned. Q: All great! Thank you!! A: Thank you for the vote of confidence!! Q: We are listening. I just don't have questions just yet. Thanks so much for the presentation. Very helpful! A: Thank you for listening!! Q: Never heard of you before but this has been the BEST Prepper 101 type talk I've experienced. Thank you! And yes, you are being heard live. A: Wow! Thank you so very much for those kind words! Q: Yep, you've been live for 15 minutes, just as informative. A: *sigh* Gotta love technology! Q: do you vacuum seal flour and meal and if so how long do you think it will keep? A: Yes I do, in small increments and add oxygen absorbers for extra precaution. But I don’t just store, I use my foods and keep them rotated. It’s not just about storing food its using it too! Flour will go rancid after a while so you may want to consider wheat berries and grind your own flour. Q: Hi Jane, Kenn from Orlando. What is the purpose behind painting water containers black? A: To keep the light out. Heat and light are enemies of water. You want to keep your water jugs in a dark cool place or in a black trash bag in a cool place. Q: How much Clorox bleach should be added to a 55 gallon drum of tap water? A: Three tablespoons will disinfect 55 gallons of water. I have potable water tanks which I would highly recommend for rain catchment which block out the sun light. Q: why do you put your milk cartons of water into a black garbage bag (or paint them black)? A: This keeps the light out and keeps the water cool. Q: How do you have a survival food cache/storage at your primary residence, but also be prepared at your BOL without wasting a lot of food? Q: What are the best ways that you have found to handle stress in a survival situation and remain positive and productive? Thanks. A: Preparedness is a lifestyle for me. If you try to hang on to the consumer mentality lifestyle – when it is taken from you, you are going to be “force” to live ... well like I do now and it won’t be easy. To me, this allow is going to cause a lot of undue stress. Survival preparedness includes mental preparedness as well as physical preparedness; having the skills and knowledge needed to survive. If you have these and practice these, just like anything in life it become second nature. Q: how do you feel about primative equipment ie archery, blow guns, for self defense. A: My feeling is that anything can be used as a weapon. I’m all about redundancy, so if you can use things such as primitive equipment for hunting as well as defense it’s a win-win situation! Q: How to stay cool in the summer in the Texas heat if the power is out? A: I don’t have air conditioning nor central heat in my home. So how do I stay cool? Just like our parents and grandparents did - get used to it. In my opinion, we need to move out of our comfort zone and start conditioning ourselves for less creature comforts. Q: Thanks for all this! I have picked up on so much. I'm confused about what a break bleader is and I'm probably spelling it wrong. A: It's spelled "Break Bleeder". It is a tool to use when working on “the breaks” on your car. But it can also be used to pull the air out of mason jars or canisters to seal mason and jelly jars too! Make sure you get a new one though, you don’t want to be using the one your husband uses! Ha! Q: Are there tutorials online for the projects you worked on to match the Doomsday Prepper items? A: Yes! Go to National Geographic Channel's Doomsday Preppers and type in “Budget Builds Survivor Jane”. Q: Great job I like the sprayer thing!!!! A: Thank you! Make your own sprayer thing … you’ll love it! Q: I always was told it's unsafe to store water in milk jugs. Is this not so? A: I’m not an expert on milk jug or container cleaning but I wouldn't tell someone to do something I don't do myself. With this said, I haven’t had any issues with them but I always caution people to use their best judgment. A: Not sure I understand your question. If you were hoping for a debate unfortunatly this was not the forum for the SOS Summer of Survival webinars. Q: Do you think we should at least learn how to provide medical care in a grid down situation. I was a medic in the service years ago and have put together a basic and partially advanced medic kit and have expanded my medical library about when advanced medical care is not available. A: Absolutely! I think we "all" need basic medical training AND have resource books available should we find ourself being the “chief” medical person. Q: What do you do about medications for someone with special needs? My son is a paraplegic (3 yrs now) and has a brain injury. He takes multitudes of meds. No way for me to stock pile. Where would I look for natural substitutions? Things like Baclofen, Lyrica, Pilocarpine, Dantrolene. I understand you may not be familiar with them. A: That's a tough one. I would say do your homework now while you have time. I am not a medical expert – but I know that most medications that we use today were borne out of natural remedies our grandparents and their parents used years and years ago. See if there aren’t remedies you could use. Q: If you live in a heavily populated area and need to exit fast, how much should you take with you or should you have a stash somewhere in a shelter? Q: Food preparation should concentrate on nutrition, not just calories.... for example, ramen noodles = gmo. bad sodium, very unhealthy... this kind of food leaves us open to disease. Stress requires excellent nutrition. A: Point well taken. My intent was to emphasis that it is not about going out and purchasing specialized preparedness food for your preparedness pantry. Q: What do your guests think of your potty sprayer? do they use it? A: Some use it and some don’t. I have a roll of toilet paper for my guests who feel uncomfortable at first. But once they try it … they love it! Q: Where is the best online store to order ammo, and guns. A: The “best” is subjective! That’s a personal choice. Q: What are your thoughts regarding how to keep in contact/communication between loved ones? A: Great question! I highly suggestion everyone have a walkie-talkie system in place for local use and a ham radio for longer distance communication. Also, have a centralize contact person that everyone can call into or contact to get updates on everyone's whereabouts and condition. Q: What is the most versatile over the counter product we should have? A: A poncho hands down. It can be used for a myriad of survival purposes. Q: You don't need antibiotics!!!!! Essential oils, colloidal silver, iodine, etc. Just do google research. A: Thank you. And honey! There are so many natural things we can use. Q: I love your garden sprayer idea. How did you set it up again? Q: Couldn't you use a peri bottle of sorts - any small bottle that squeezes with some power would work. A: The problem f found with a lot of bottles is they don’t have the “force” or "pressure" needed to do the job. And, they usually can only hold a small amount of water - about a cup or so. The pressure from the hiney hydrant is what does the cleaning without using a lot of water. Q: Do your coworkers at your law firm know you're a prepper, are they interested or has any of them converted also? A: I am no longer working in the law firm. I relocated out of Florida. But yes several of my coworkers know I am a prepper and embrace it. Q: you said to put oxygen back into the water every six months. why is that? A: Just to freshen it up. Q: Do you maintain a full-time job, and if so, what profession? A: My full-time job now is working on my homestead; gardening, harvesting fruit and vegetables, preserving (dehydrating and canning), caring for the animals, milking goats, cleaning stalls, etc. Yep. full-time alright. Q: what do you suggest women to do after shtf as far as dealing with their menstrual issue? A: Plan ahead now. There are family cloths that can be made that are reusable. I have also listed some other examples in my book “Where There is no Cosmetic Counter” that may be helpful as well. We may have daughters that are not old enough now but will be in the near future. This is where planning comes in now. Q: Your gardener's Bidet is brilliant! Do you add anything to the water to make is better? A: I actually add a tincture of rosemary and other fresh herbs sometimes. A: Absolutely! As I said it’s all about planning ahead. Q: does the vacuum sealer take the place of canning procedures? A: Thank you for asking this question. The procedure of using a break bleeder to vacuum seal food should in “no way” be used as a substitute for canning which requires either a water bath or a pressure cooker. This is merely to use to “preserve” dehydrated food or dry food that you want to break down into smaller portions. Q: What is your best suggestion on alternative power to carry a home? A: Well I am all about redundancy so I would definitely look into what is suited for your home. I have a wood stove for heat, and I have a summer kitchen that I cook out in with alternative cooking mediums; grill, rocket stove, and Dakoda fire pit to name a few. Q: the seal lids are available and about $10 each on Amazon.com, the tubing is also available, but I forget the price, it isn't much. A: Yes. The food saver brand lids (wide mouth and regular) and tubing for the vacuum sealer can be purchased on Amazon, as well as the food saver canisters. Thank you! Q: We live in a hurricane area so this information is so important! We are working on our hurricane kits right now, and I just learned more! I just want to say thanks for being a part of this series! A: Thank you so very much for your kinds words! Q: What is the one mistake you made in your preparations that you would never do again. A: Whoo, let me count the things! I’d have to say that the easiest mistake for all new preparedness-minded people is to, is to try to do everything all at once. Preparedness is a procerss. We need to take baby steps. A: Hello my friend! Well I personally can say that honey heals both inside and out. Taking it internally helps to build your immune system, but also it can be used as a topical ointment for minor scrapes and more serious cuts. As an example, when I severed a 1/4 inch slice off the top side of my thumb; literally, I packed it with honey. What should have been a large indentation in my thumb healed completely with no noticeable scar or thumb deformity. 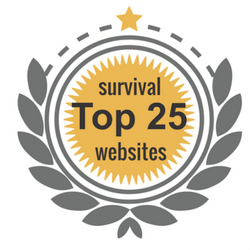 Thank you again to all of you who participated in the 2014 SOS Summer of Survival Webinar event. It is you who have made it the sucess it has been!